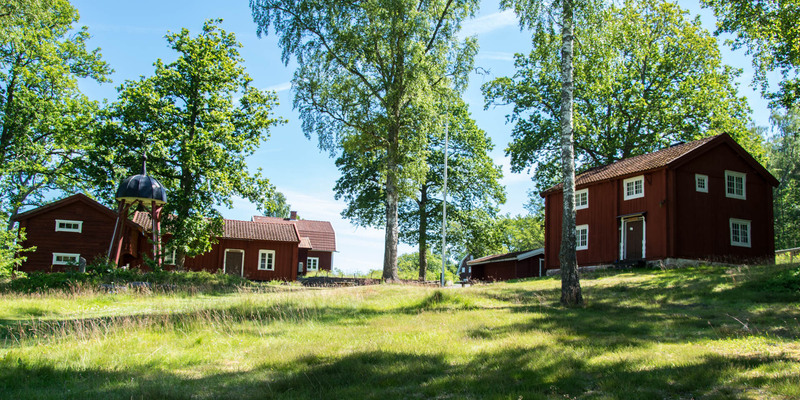 The homestead Vena Hembygsdgård is a local open-air museum consisting of several historical buildings and is located on the outskirts of Vena, about ten kilometres east of Hultsfred. Vena Hembygdsgård is situated on a gentle slope in a beautiful natural setting, flanked by a quietly rippling stream and a beautiful pond with water lilies. The buildings of the homestead originate from the 17th century and are of great cultural and historical importance for the region. 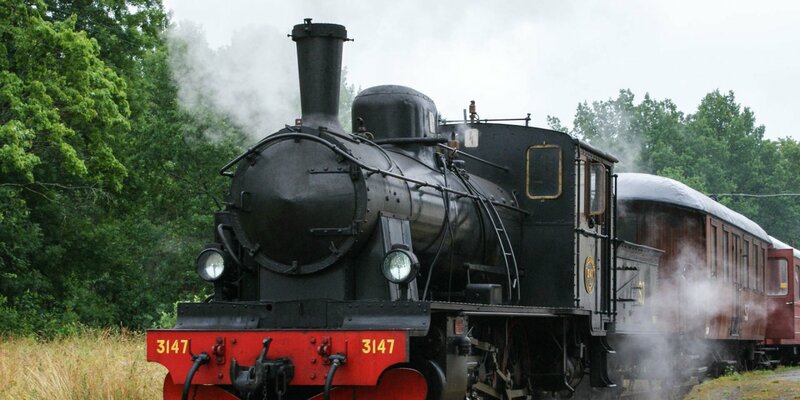 In order to preserve them for posterity, they were dismantled in the middle of the 20th century by members of the local heritage association and rebuilt and restored in the open-air museum. 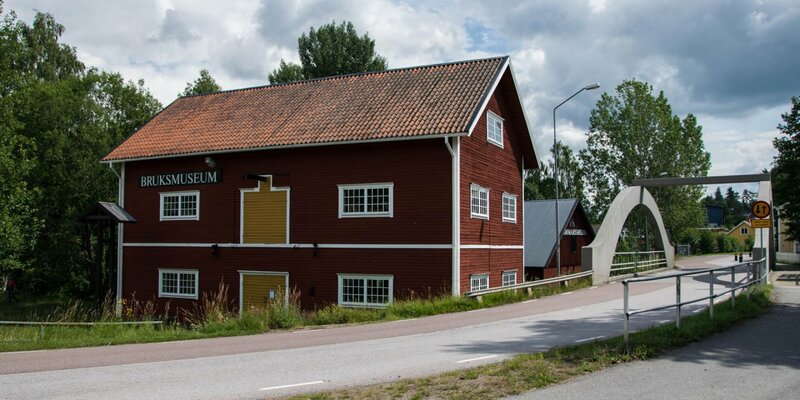 The most interesting building on the site is the Kärebystugan, a two-storey house from the village of Käreby, built by a wealthy officer in the late 17th century. The house is quite luxuriously equipped for the conditions at that time and has an open fireplace, hand-painted wallpaper and lead-glass lattice windows in every room. On the ground floor there is a large living room and the kitchen, the upper floor has two large rooms. The larger room on the upper floor was used as a classroom in the past and also served as a living room for the vicar. 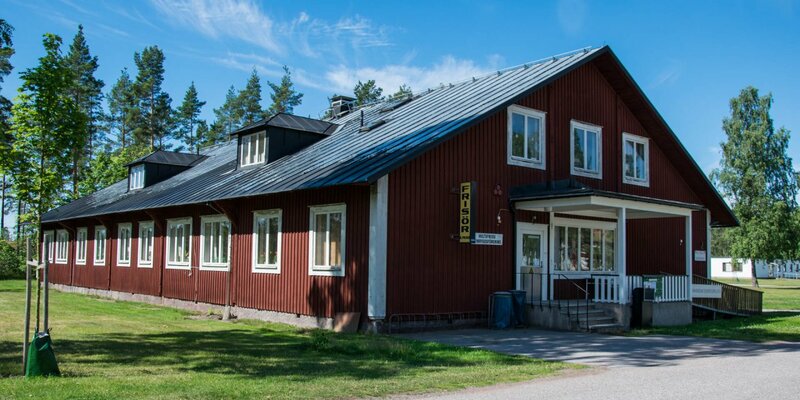 One of the former residents was the priest Johannes Lind, grandfather of the famous author Albert Engström, who was born on the farm Bäckfall near Lönneberga about 20 kilometres away. The building to the right of the entrance is the so-called Kastenhof, which was a rural cottage of a parsonage and today contains a small museum of local history. The other buildings are a former flax kiln from the village of Brunsvik and a former granary from Fallhult as well as a small belfry that used to stand at the parish school in Vena. The homestead is open all year round and the buildings can be visited from the outside. During various events of the heritage association the buildings are open and can be inspected from the inside.